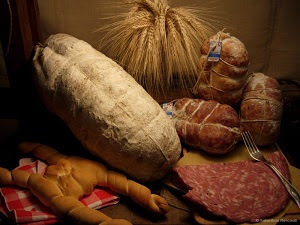 The 17 Pearls of Ferrara, so named because of their importance to the local economy, are the result of the enhancement and protection of local typical food undertaken in Ferrara. 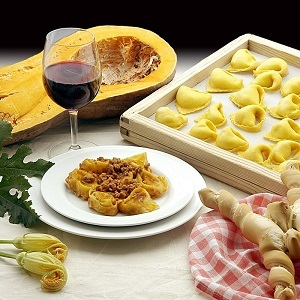 Evidence of the strong bond between the territory and typical products are found in many ancient texts which explicitly refer to products that are still part of Ferrara's culinary tradition. 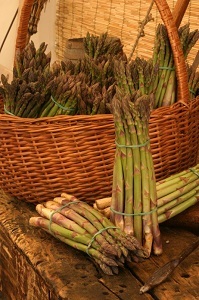 Certifications are under consideration for Goro Clams, Ferrara Cucumbers, Po River Delta Carrots and Rice, Garlic Salami Zia Ferrarese, Voghiera Garlic, Pumpkin Cappellato and Pampapato-pampepato.